Giant Trap Door Spider at StarCityGames.com! 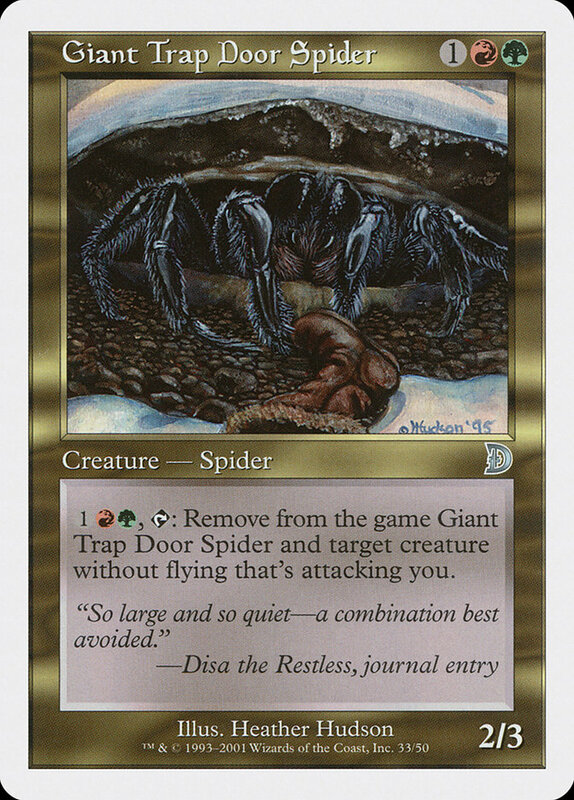 Card Text: 1RG,TAP: Remove from the game Giant Trap Door Spider and target creature without flying that's attacking you. Oracle Text: 1RG, Tap: Exile Giant Trap Door Spider and target creature without flying that's attacking you.